You may know that recently I’ve been working with patients to visualize their health history as part of a new company called Pictal Health. 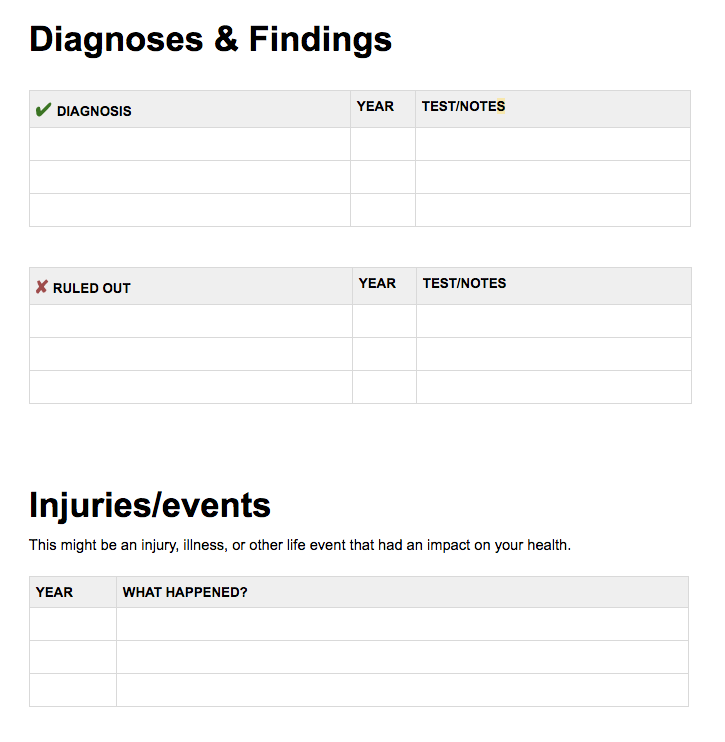 I’ve learned a lot along the way, and one thing that has been helpful is having people gather their health story basics in this Google Docs template. 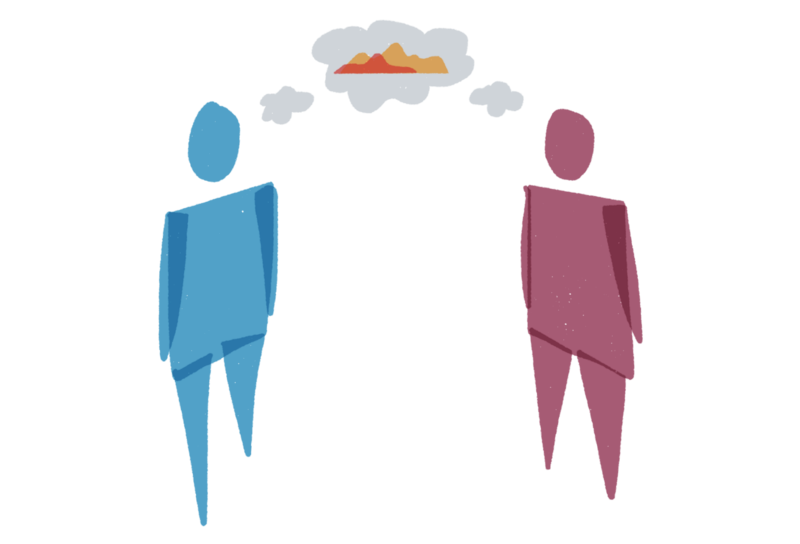 I prefer a co-editing tool like Google Docs because it allows me to collaborate on the document with people in real time, and they can in turn opt to share it with other family members or caregivers. It’s nothing too fancy, but it can help you start to get your thoughts together, determine your priorities, and start to see things in one place. 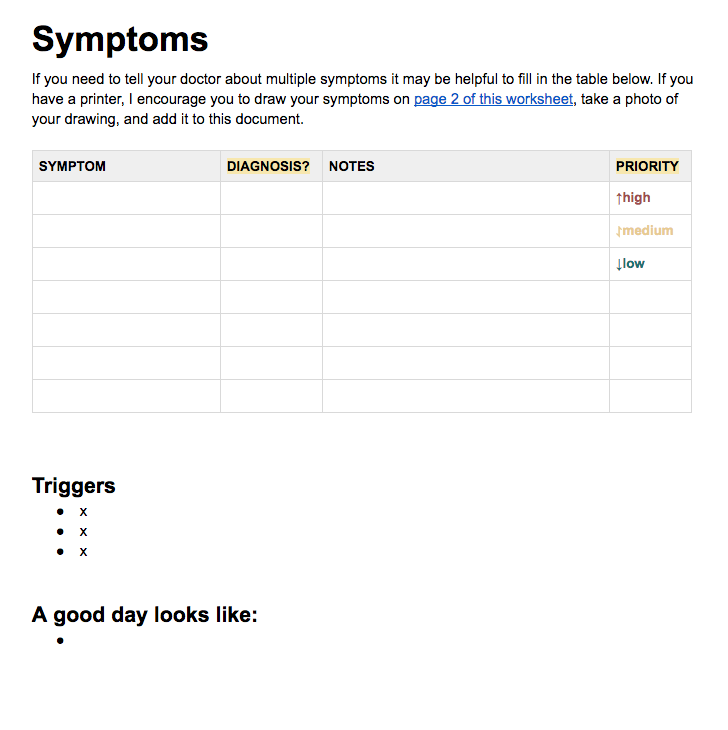 Health records and patient portals just don’t capture or easily display many of the key things you may want to express (or that doctors want to know) — like detailed info about your symptoms, alternative treatments that are helping, what’s been ruled out, etc. 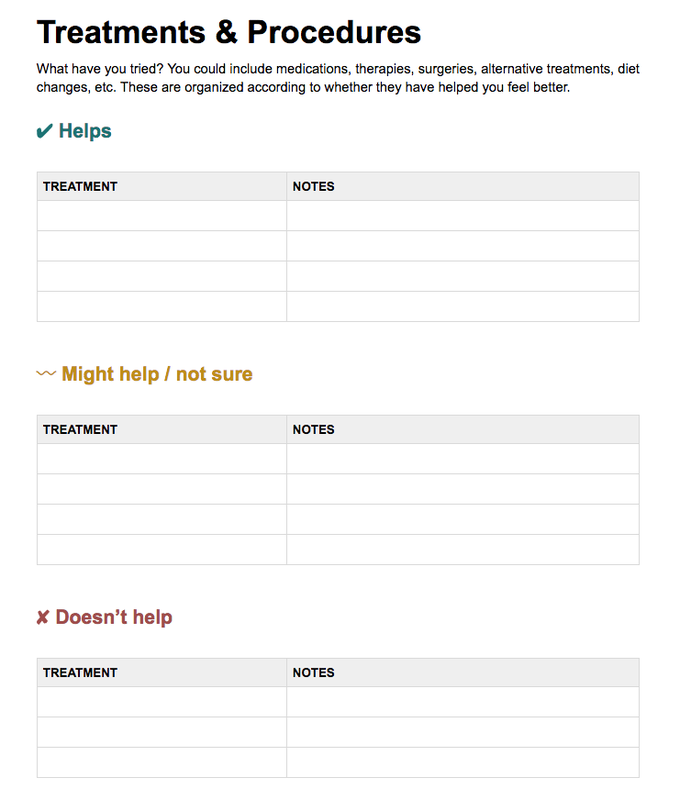 The ultimate goal of this document is to help you understand your health history and communicate better with your doctors — to build consensus on what’s happened in the past so you can agree on how to move forward. (There are detailed instructions on how to ‘make it your own’) — and if you would like help through this process or want to create a more detailed visual of your health history, don’t hesitate to reach out to me. Finally, as always, I would love to hear your feedback and suggestions for improvement!